Get the most rewards for your spending. When it comes to credit cards, in most cases, all we want is the best return. With a variety of reward types to choose from, knowing which one fits your spending habits and preferences best can make a big difference. For example, a travel rewards card won't be very useful if you don't travel. Likewise, if you do travel, you could be leaving money on the table with a cash back card. So, in order to get the best rewards suited for you, there are a few things to consider. as a percentage if the rewards program is cash based. As you start to make purchases, your rewards accumulate based on the earn rate your credit card provides. 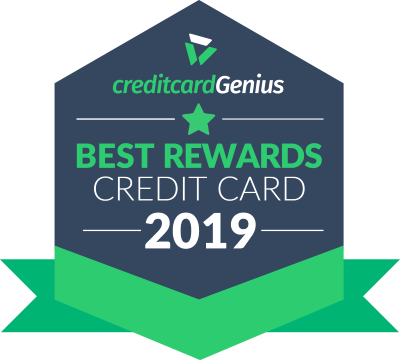 For example, if a credit card earns 2 points per $1 spent, and you have a purchase of $10, you would earn 20 points towards the cards rewards program. Or, if your card gives you a percentage (say, 1.5%), you would have earned 15 cents on that same purchase of $10. Many cards will also give you a lump sum of points or cash as part of signing up and completing a certain amount of spending within a set timeframe. For example, you could earn 10,000 bonus points after your first purchase, or earn a $100 cash statement credit after spending $1,000 in the first 3 months. Overall, there are 4 different kinds of rewards available, and we'll give an overview of each one. Of the various kinds of credit card rewards, cash back offers the most straightforward approach. You'll earn a set percentage of your spending in cash back, which varies by credit card. Some will have a set earning rate for all purchases, while others will give different percentages based on the category of the purchase (such as groceries, gas, or restaurants). Depending on the card, you might have to wait until you've accumulated a certain amount of cash back before you can redeem, usually around the $20-25 range. And while they offer good rewards, they generally have the smallest sign up bonuses, and most charge foreign exchange fees when purchasing in a foreign currency. Flexible rewards credit cards will let you earn points that can be used to pay for any travel purchase – you're not limited to specific airlines, cruise lines, or hotel chains. with the card's own travel agency for any booking. The biggest pros of a flexible rewards card are you don't have to find availability with a set program or worry about taxes and fees. You can also use your points to get cash statement credits, merchandise, or gift cards. Although this type of reward will give you the most options, it doesn't provide the best value. Credit cards associated with airline and hotel programs generally offer rewards with the highest value, but they come with several restrictions. First, you have to use your points within the set program. This means if you want to fly somewhere and your airline (or their partners) can't get you there, you won't be able to use your hard-earned points. Second, airline miles are quite restrictive – when you're able to redeem your points, there's often a limited number of seats available. This means you have to be flexible with your dates and have less-than-ideal itineraries. Plus, there's also taxes and fees you have to pay – your miles won't cover them. Hotel redemptions aren't quite as restrictive, as long as there are rooms available from the specific chain. So, what's the upside to getting an airline or hotel credit card? They offer the best value and the best perks specific to that airline or hotel program, which dramatically increases the value of holding one of their credit cards. bonus points on the credit card's anniversary. bonus points on your card's anniversary. These cards generally have the highest sign-up bonuses as well. For airline credit cards, it's important to take into account not only where you're going, but where you live. For instance, if you live in Atlanta, a Delta-branded card will probably be better for you than one from United or American Airlines. Airlines like Southwest and Spirit won't be able to fly you outside the U.S, save for the Mexico or the Caribbean. If you're a loyal shopper, it can pay to have a retail credit card. Most offer high rewards that can be used to save at that specific store. You'll get average (or below average) rewards when used elsewhere, but these cards generally have no annual fee, making them a good deal and easy additions to your wallet. The caveat? High interest rates. If you carry a balance on your store rewards credit card, these interest rates will eat up all of your potential savings. So, which rewards are right for you? It's up to you to decide. If you just want to keep it simple, cash rewards are best. It's transparent, easy to understand, and can be used for anything. But, these cards typically have less insurance coverage, smaller (or no) sign up bonuses, and charge foreign exchange fees when travelling outside the U.S. If you prefer travel rewards, you have 2 options. If you don't want to worry about scouring for flight availability or limited providers, choosing a flexible travel rewards card is best. However, if you want the best total rewards, as well as perks that will save you money, an airline or hotel branded card is the way to go. In order to cash in on your spending, here are a few sure-fire tips to get the most of your rewards credit card. Be sure to use your card for all of your purchases so you can accumulate the most rewards possible. But, don't spend just to get rewards, or spend more than you can afford. Getting into credit card debt will offset all of the rewards you accumulate with punishing interest rates. Be sure to take advantage of the perks your card carries, particularly airline and hotel cards, as they can offer great savings. Our rankings compare 50+ features of over 110 credit cards. We input these into our algorithm to produce a genius rating out of 5 for each card. Our algorithm ratings are independent of any financial compensation, so you're always looking at what's best for you.